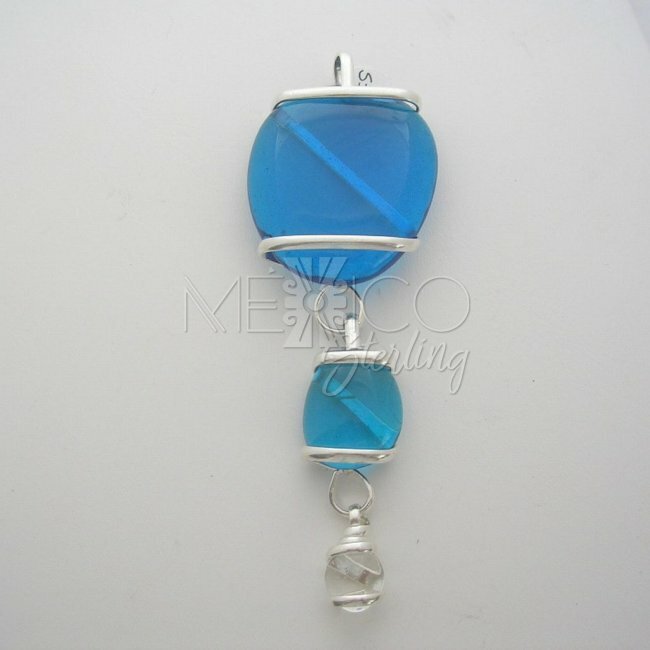 Silver Plated Pendant Colorful Glass Beads [SPJ2481] - $8.00 : Mexico Sterling Silver Jewelry, Proundly from Mexico to the world. 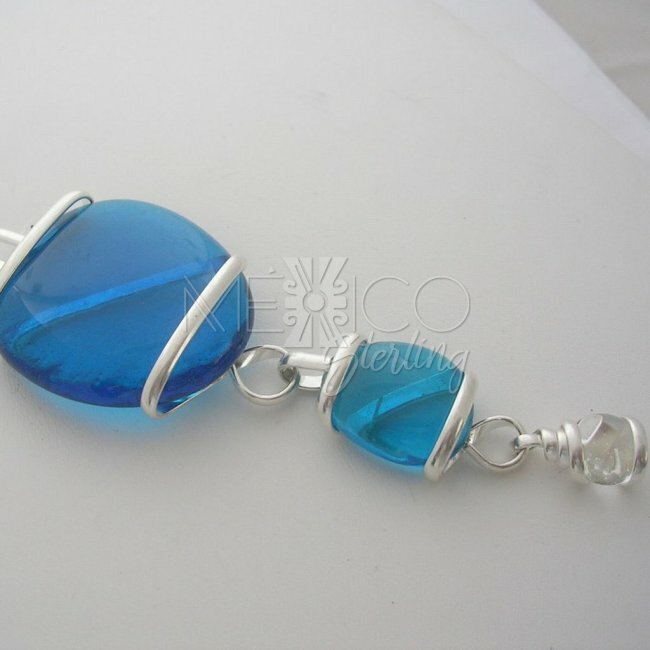 Dimensions: Width : 1 1/2" at its widest point. 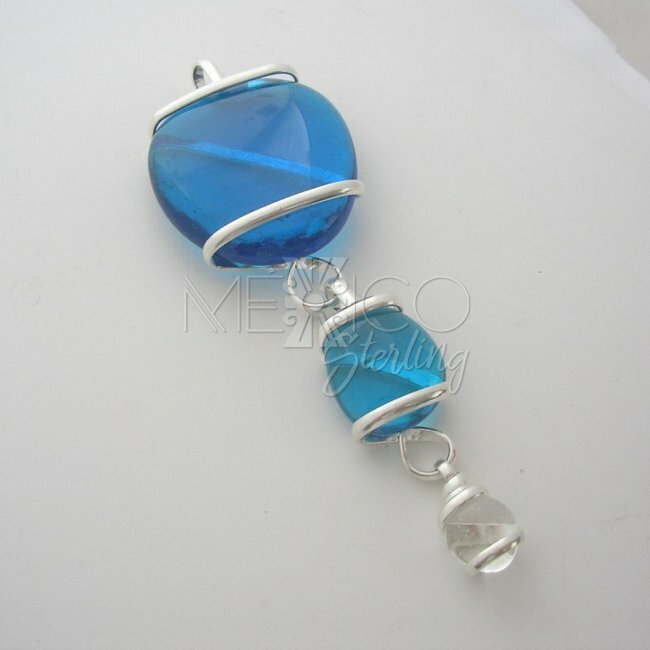 Length : 4"
Very interesting piece that talks a lot about Mexican silver plated designs. 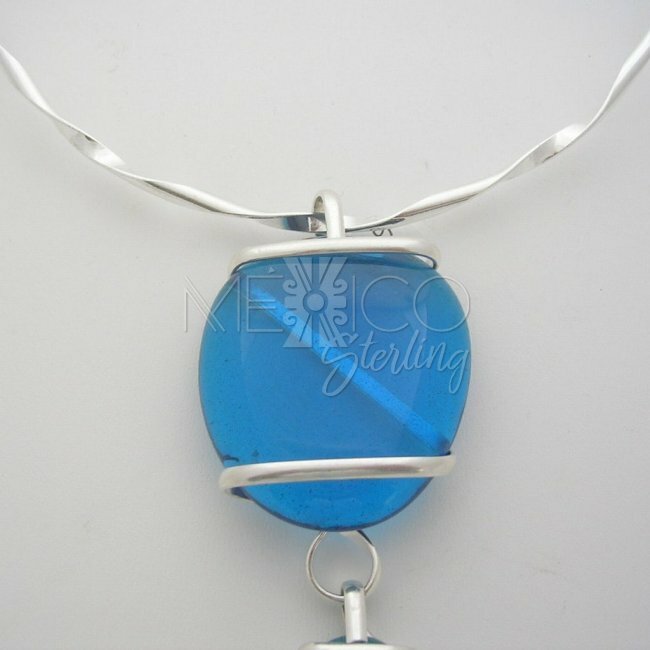 This plated pendant is a unique piece that shows a modern and fashionable piece of jewelry. 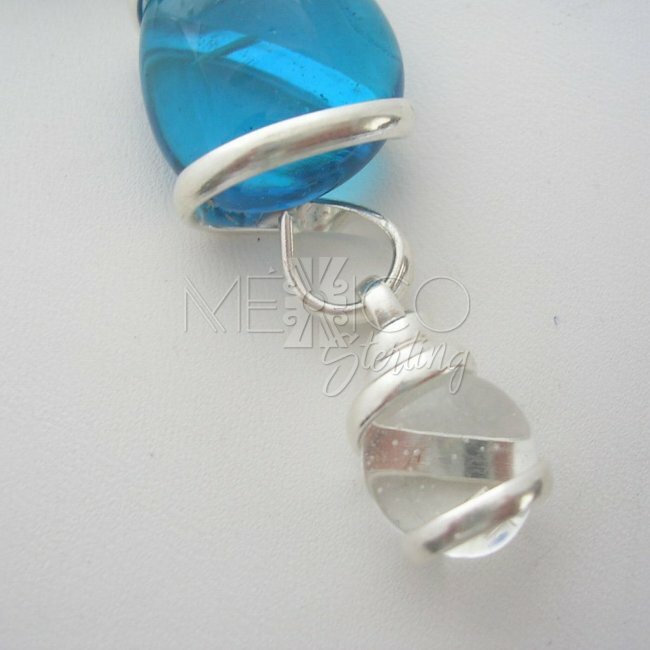 It's a long dangling pendant complemented with colorful glass and different size glass beads, making the graduation a nice element on this composition. 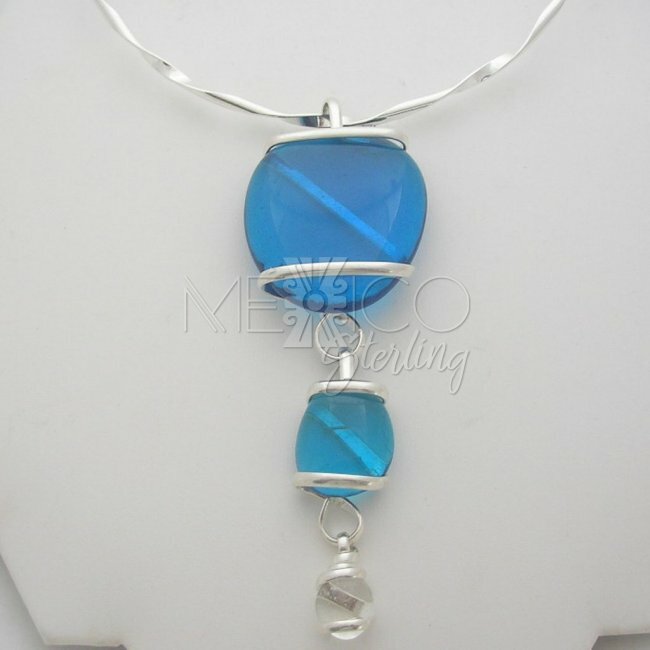 This silver plated pendant was completely handmade with excellent workmanship and beautifully finished, as my regular silver jewelry. 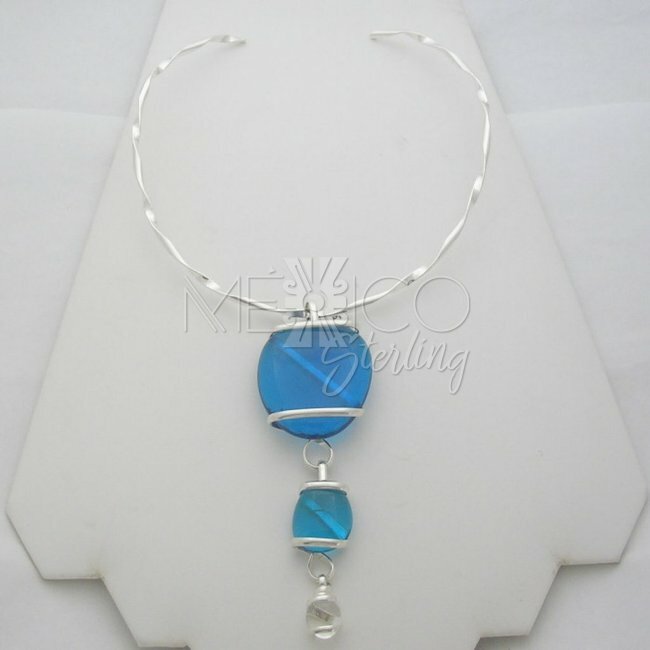 It is also a very versatile piece of jewelry that can be worn in different occasions and with chains or chokers, either way, this silver plated pendant looks amazing.